A campana urn with leaves decorations around the vase and the base. 19th Century, square plinth. On the centre a large leave detail. 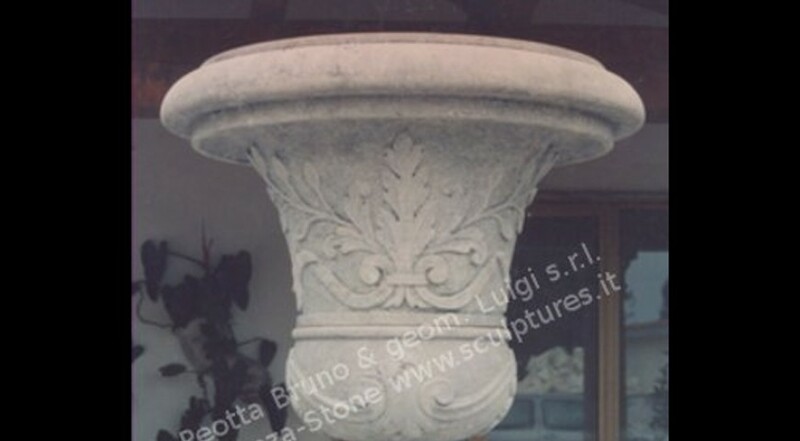 Elegant Garden Stone Vases for outdoor and landscape decoration.